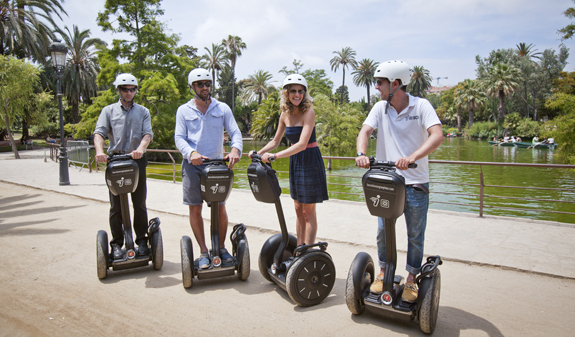 Explore the streets of Barcelona on a official Segway! 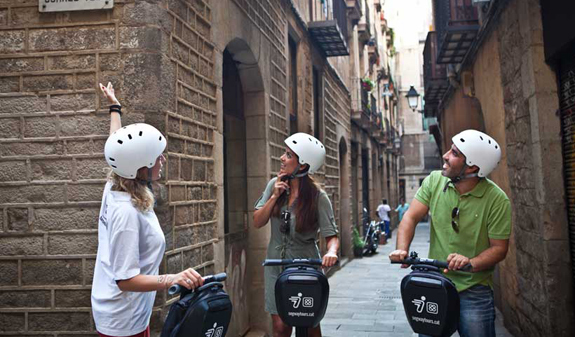 Dare to explore the city on a fun Segway and discover the hidden streets and corners of Barcelona in a different way in the company of an expert guide. 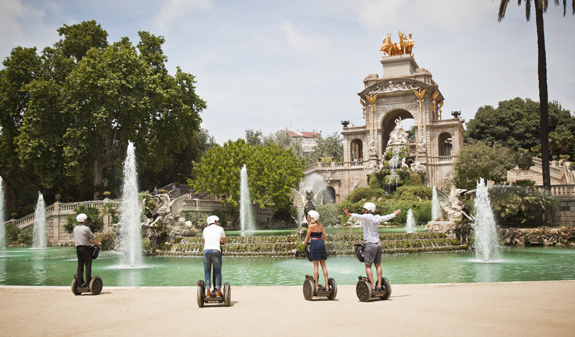 Segways are really easy to use and a unique experience you simply can't miss! 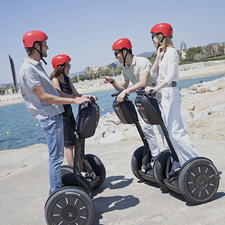 If you've never hopped on a Segway, now's the time! We invite you to try out this two-wheeled e-vehicle which balances itself. You won't just have fun? you'll be able to enjoy the city while you listen to the guide tell you about the sights. You can choose from two different routes*. One explores the hidden corners of the Gothic Quarter, the old harbour, the Port Vell, and the Barceloneta beach and seafront as far as the Olympic Marina. The other is the most complete tour and last three hours. 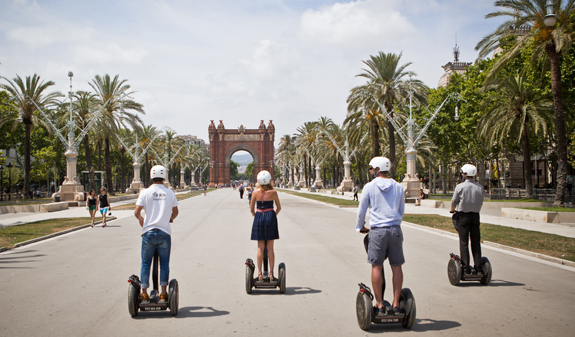 It will take you to the Parc de la Ciutadella, the Arc del Triomf and many more interesting landmarks. You can discover Barcelona's historic centre, beaches and parks, on your own, with your partner, husband or wife, or in small groups. 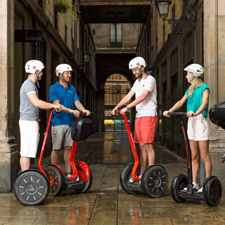 The feeling of freedom and comfort you get on a Segway means you can whizz through the city swiftly and expend a minimum amount of energy. You'll make the most of your time as a short training session will be enough so you can begin to explore the streets on your Segway. Times: daily, 10am, 12.30pm, 3pm and 6pm. Languages: English, Spanish, German, French, Catalan, Italian, Russian and Portuguese. Languages on request: Dutch, Arabic, Hebrew and Finnish. If the tour is cancelled due to weather conditions you can change the date or ask for a refund. 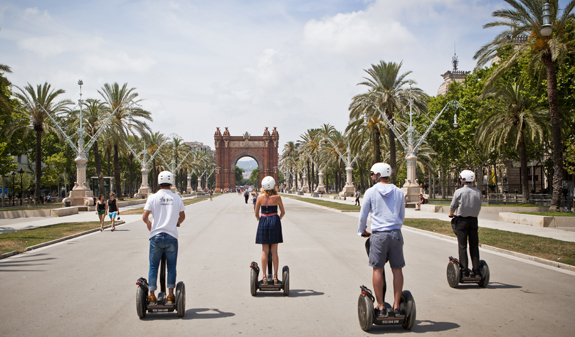 Groups up to 15 with a guide every 6 people, contact: reservas@barcelonaturisme.com.